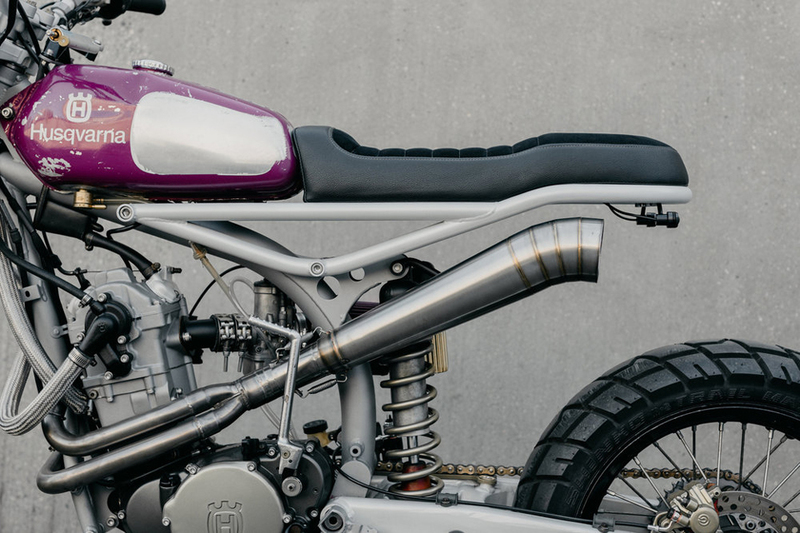 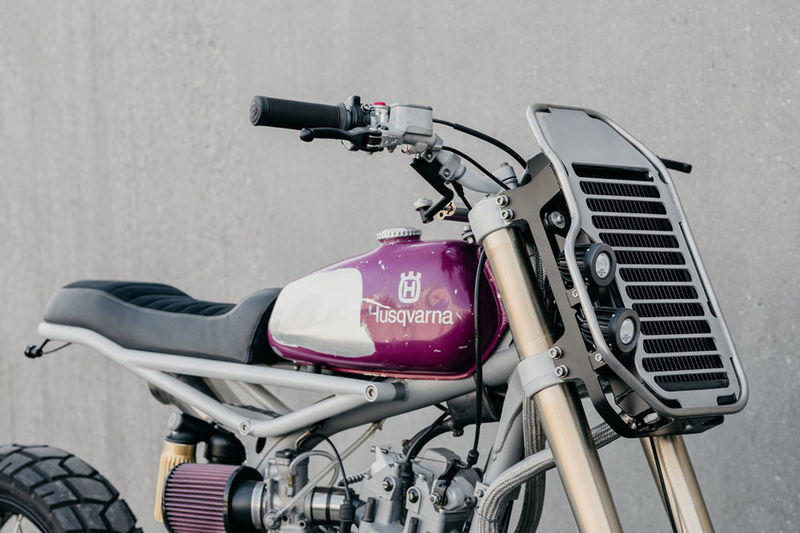 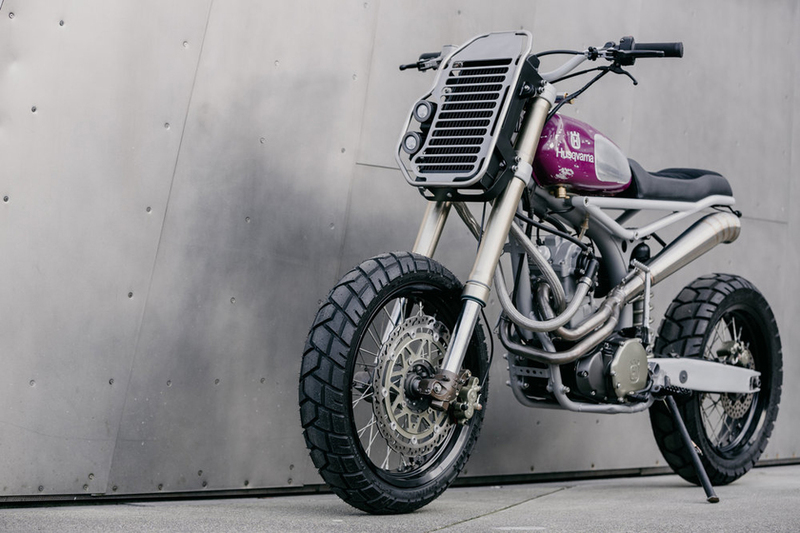 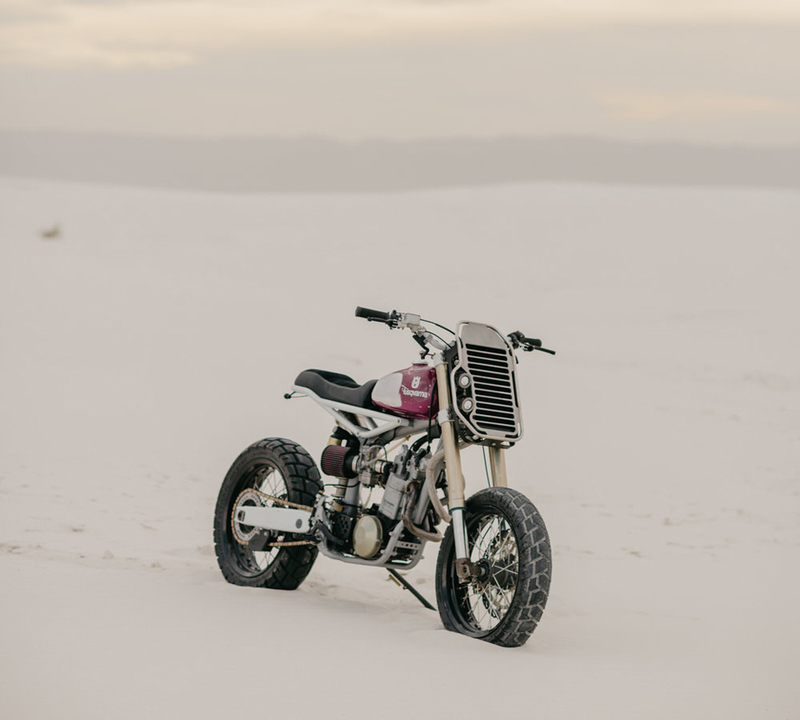 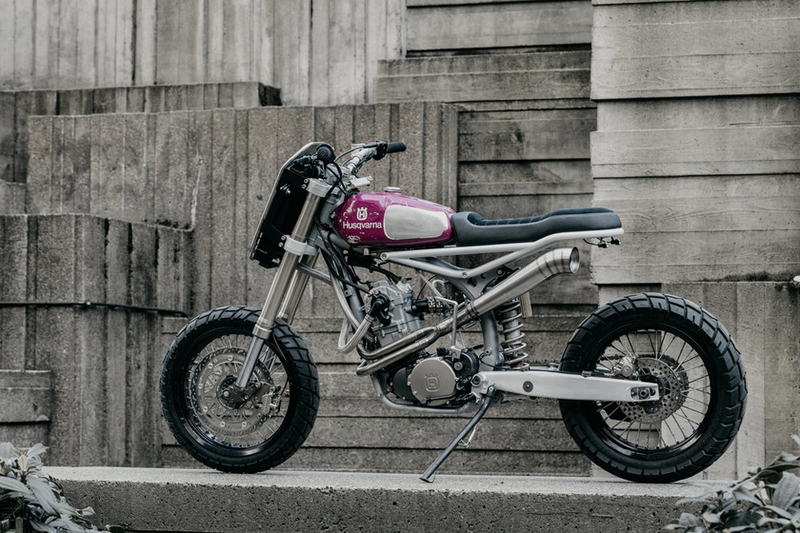 Custom motorcycle maker Dave Mucci wanted a nimble bike that could go both on and off-road. 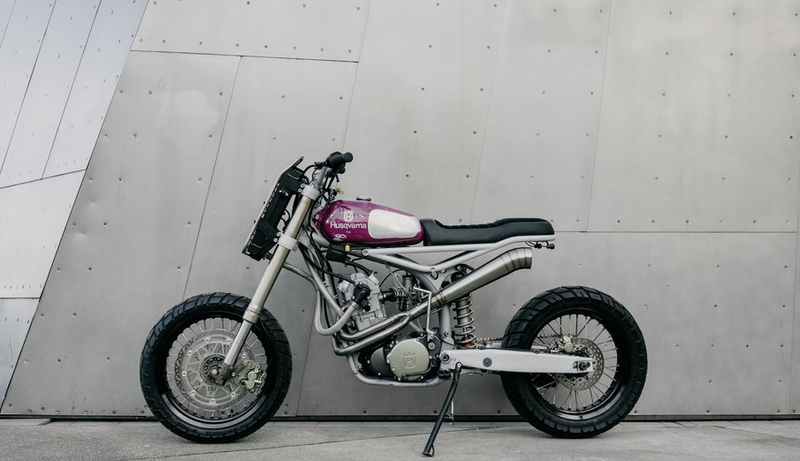 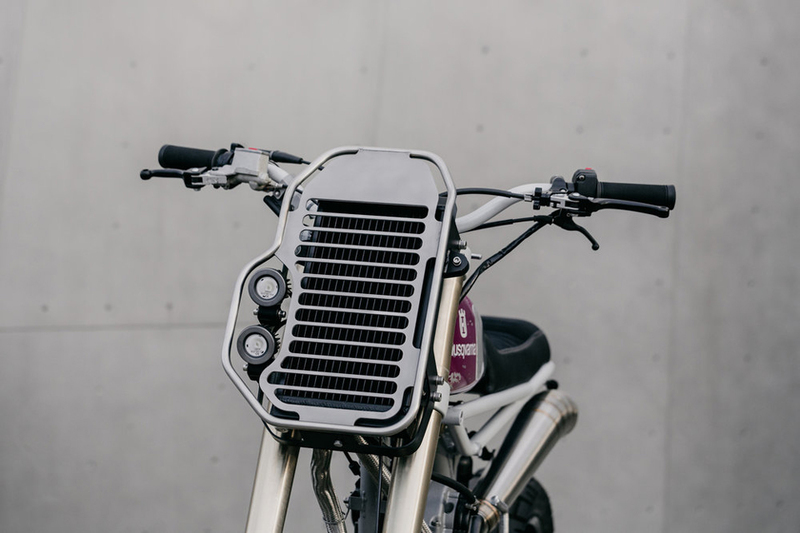 He started with Husqvarna’s TE 570 dirt bike and made a new subframe and exhaust, then lowered the bike by 4″ and giving it a stiffer ride. 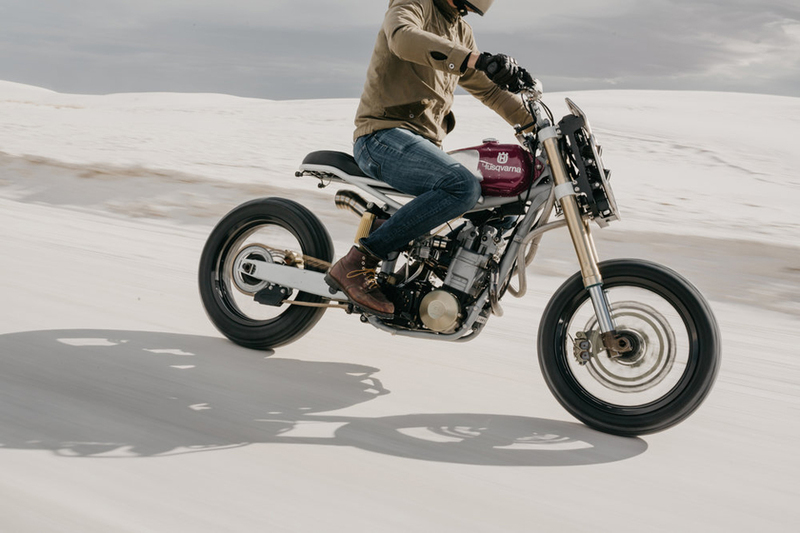 More on Bike EXIF.